Home � Animal Kingdom , Disney World Vacations , Disneys Animal Kingdom , Signs Of Disney World � The Biggest Disney World Sign That You May Have Never Seen! The Biggest Disney World Sign That You May Have Never Seen! 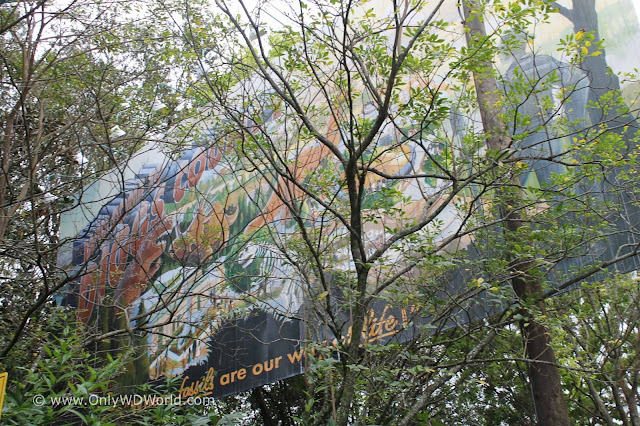 Hidden in plain sight in Disney's Animal Kingdom Theme Park at the Walt Disney World Resort is a full size billboard that most Disney World guests have probably never seen. This billboard is a simulated Diggs County promotional message to promote tourism in this Dinosaur fixated county. You can find this massive sign in Dinoland at Disney's Animal Kingdom located beyond Chester & Hester's Dinosaur Treasures souvenir shop and across from the Primeval Whirl roller coaster. It is a great example of the detailing created by the Disney Imagineers. 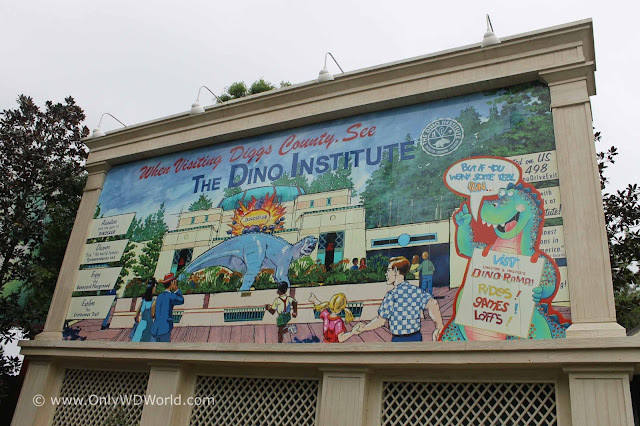 It absolutely fits within the kitschy Dinoland that attempts to capture some of the feeling from the tourist attractions that sprung up along Route 66 during its heyday. The really astute observers will notice that there is not just one full size billboard in this area, but actually three to be found! 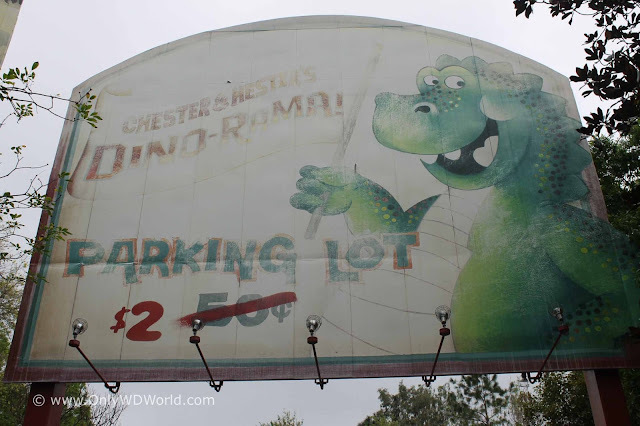 The 2nd billboard is a sign denoting the parking lot for Chester & Hester's Dinorama. You may also notice that business must be good, because the price of parking has gone up! The 3rd billboard really is hidden due to the growth of the foliage in the area. This is another Diggs Country tourist promotion with the catch phase "Where fossils are our way of life!" So if you have never seen these larger than life signs, make sure that they are on your list to spot during your next Disney World Vacation! These are the details that make the experience so much more enjoyable. 0 comments to "The Biggest Disney World Sign That You May Have Never Seen!"